For calibrating the optical drop shape analysis with our Mobile Surface Analyzer – MSA, the CP3970 set is now available. As a reliable tool for validating the quality of the MSA video analysis, this set allows users to seamlessly integrate surface free energy (SFE) measurements on coated, pretreated or cleaned surfaces into qualification processes such as IQ/OQ. 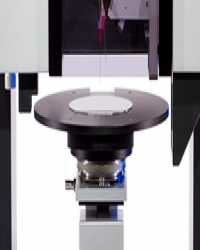 Determining the SFE with the MSA is based on contact angle measurements on dispensed droplets. In order to measure the contact angle, the video camera of the MSA records images of the droplets and our ADVANCE software analyzes them. The calibration set simulates this kind of analysis by means of droplet shapes applied to a glass plate in a lithographic process. The contours correspond exactly to the theoretical droplet shape as described mathematically by the Young-Laplace equation. This equation also precisely models the drop shape in actual contact angle measurements so that the calibration realistically simulates the measuring procedure. The calibration process is as easy as the MSA measurement itself: the calibration standards are located in a precisely fitting holder into which the user simply places the MSA. One click at the instrument executes an automation program within the ADVANCE software, which performs the evaluation of the selected drop shape. When multiple measurements are taken, the system also automatically reads out the mean value and standard deviation. The calibration set, which includes drop shape standards for contact angles of 30°, 60° and 120°, is highly precise to within 0.1°. It is also available with an optional certificate that confirms the high level of precision of the shapes on the basis of international standards. The correct dosing of active pharmaceutical ingredients is a challenge when it comes to eye drops. Not only must the concentration of the solution be correct, but also the drop volume must be defined as accurately as possible. After all, the total amount of active ingredient often has to be placed in the eye with a single drop. The dosed volume depends on the diameter of the dosing opening in the drop bottle and on the surface tension (SFT) of the liquid. The bottles are mass-produced, which means that drug manufacturers cannot easily adapt them to suit their own preparations. The second volume of Advances in Contact Angle, Wettability and Adhesion published by Dr. Kash Mittal appeared a few weeks ago. Dr. Mittal is a globally renowned expert in adhesion research, author of numerous reference books and publisher of the journal Reviews of Adhesion and Adhesives. He is also known to the professional world through his successful Course on Adhesion Science and Technology, which he will hold in collaboration with us in Hamburg for the second time early in 2016. His new volume focuses on basic investigations into adhesion and wetting modification. The third part is dedicated to the connection between surface free energy (SFE) and adhesion, with our investigation Why Test Inks Cannot Tell the Whole Truth About Surface Free Energy of Solids. The article is a comparative study of test inks and contact angle measurements based on a number of materials. . It has been shown that test inks cannot be used to differentiate whether wetting behavior is determined by differences in the total SFE or the polar fractions. While for non-polar plastics results with test inks still correlate well with the SFE derived from contact angles, with polar surfaces large deviations between the two methods occur. The increase in the polar fraction of the SFE due to plasma treatment, in particular, could be reliably demonstrated with the help of the contact angle, while the test inks responded virtually indifferently. The test ink method is therefore questionable for one of its most important applications. Source: M. Jin, F. Thomsen, T. Skrivanek and T. Willers, Why Test Inks Cannot Tell the Whole Truth About Surface Free Energy of Solids, in: K. L. Mittal (Ed. ), Advances in Contact Angle, Wettability and Adhesion Volume 2 , Hoboken, New Jersey and Salem, Massachusetts 2015, P. 419-438. The costs of an oil recovery process not only lower the margin but are often also a decisive factor in whether it is worthwhile over all to extract the remainder from a reservoir. Surface chemical analysis aids in developing and optimally deploying effective auxiliary agents for secondary and tertiary recovery methods to increase the efficiency of oil recovery, thus decreasing the costs. We present an example of this in our new application report. The report summarizes a dissertation based on interfacial rheological measurements. The subject matter deals with experiments involving emulsion breakers (demulsifiers), which are used for the removal of troublesome water content in crude oil. After its recovery, crude oil is generally emulsified with water. This increases its viscosity and therefore the pumping capacity required to transport the oil. Moreover, the saline content of the water that is also carried along during the processes can cause corrosion damage to the refinery. Therefore demulsifiers are used for dewatering. The action of these substances is based on breaking down the metastable interface films between the water drops and the surrounding oil phase of the water-in-oil emulsion. The study cited presents how this destabilizing effect can be quantified by measuring the reduction of the storage modulus, an interfacial rheological quantity. From a series of demulsifiers, the one able to reduce the storage modulus to the greatest extent was determined and tested in field trials. It was demonstrated that the superior product in the laboratory experiment also resulted in considerably less pump energy being required and more effective dewatering when used in the reservoirs compared with the previously used demulsifiers. Antarctic penguins are masters in adapting to their environment. One of the most impressive examples of this ability has to date puzzled scientists: penguins dive through freezing cold water and yet they are able to move on land afterwards in extremely low temperatures of around -40 °C without their feathers freezing. Our cooperation partner Prof. Pirouz Kavehpour from the Department of Mechanical and Aerospace Engineering of the UCLA and his team carried out research into this property of penguin plumage so essential for their survival. The findings were presented for the first time on November 22 at the 68th Annual Meeting of the APS Division of Fluid Dynamics in Boston. The team examined the extremely hydrophobic feathers in a special microscopic process and with our Drop Shape Analyzer – DSA100 for contact angle measurement. The research group discovered that a particular hydrophobic oil from a special gland comes into contact with a nanostructured porous surface. The feathers textured and sealed in this way display an extremely high water contact angle of over 140°. Round drops with a very small contact surface form on the feathers. This results in low heat transfer and makes water drip off quickly, so the water is no longer on the feathers when it freezes. This topic has already awoken far-reaching interest outside of the sphere of university research. In addition to popular scientific media such as news.discovery.com, the BBC and the Huffingtonpost have also published articles dedicated to the plumage of these amazing birds. 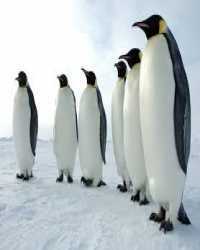 However, the properties of penguin feathers are not only interesting for animal lovers. The aerospace industry in particular has taken notice of the new possibilities of keeping surfaces clear of ice; a sector where freezing presents a high safety risk and until now has required great effort to prevent. The new findings could especially improve material development in aircraft construction. “It's a little ironic that a bird that doesn't fly could one day help an airplane fly more safely”, concludes Prof. Kavehpour. With two new sample table solutions for our Drop Shape Analyzers – DSA100 and DSA30 that can be used individually or combined, we have optimized the handling of soft and bendable samples as well as wafers during contact angle measurements. The ST3210 Vacuum Table has a large permeable surface to which samples are uniformly attached by simply placing them on top of it. The table ensures a flat and easy-to-analyze surface when carrying out measurements on films as well as samples with only low elasticity or softness. It can be mounted flexibly on horizontal movement axes or on a rotation axis. In just a few simple steps the ST3271 wafer tabletop transforms the vacuum table into a special sample table for the surface analysis of wafers. The holes through the table plate ensure that the wafer is held in position by the vacuum and prevent slipping of very smooth wafer surfaces. The plate also has a slot for positioning, which is compatible with the standard sizes of wafer tips. To facilitate centering the samples, the table surface can be easily adapted to the different standard sizes of wafer as well as other round samples by means of flexibly deployable pins. The sample table setup for wafers is particularly efficient when performing mapping measurements with our ADVANCE software. 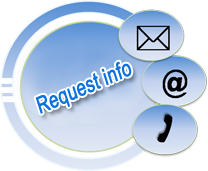 This allows drops to be dosed fully automatically onto the programmed positions of the sample and analyzed there. 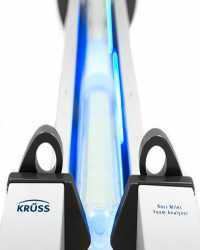 It is thus possible, for example, to evaluate the homogeneity of the cleaning of a sample surface in one single measuring procedure without any user intervention.